Considered the most important cultural center of Rheinland, Cologne city has been a mandatory stop for tourists for decades. Heavily damaged in World War II, this one-time military center is a much different than a “pile of rubble” it might have been then. Remnants of the city’s rich and turbulent past today blend into a unique amalgam of ancient and new, often providing unexpected, daring and superb architectural solutions. 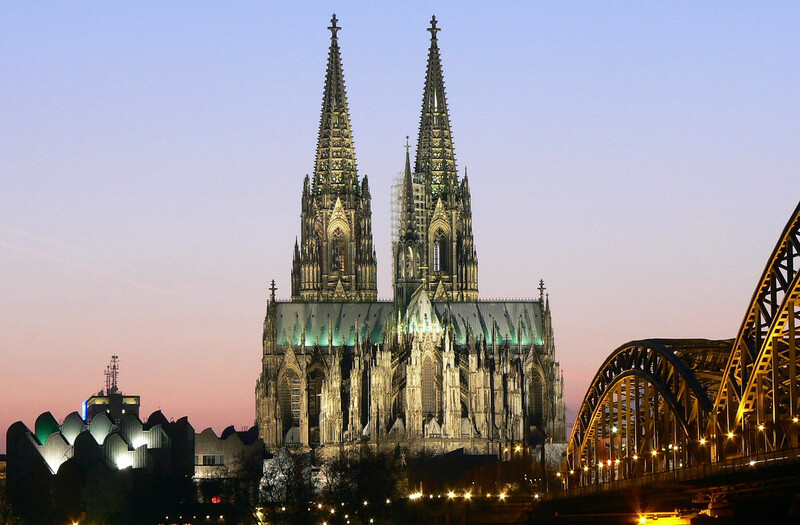 Cologne is a place where a cultural tourist can satisfy all of his senses, from the historical sites, over fine arts to gastronomy. Still, contemporary art lovers often find the classical cultural offer of Cologne slightly dated and seek out only the latest creative hubs. DISCOVERY ART FAIR team is here to remind even the most avant-garde of the artistic crowd that Cologne is the city worth of your time, with more to offer than might meet the eye. With focus on all of the senses, we encourage our visitors to expand their experience by visiting this wonderful cultural center of West Germany. The fragmentation of Cologne’s past might be the most visible in the very center of the city. Next to the famous Cologne Cathedral, in an awkward juxtaposition, stands the main train station, a glass and steel monster. Marking the church square from a different side is the Roman-Germanic Museum, while behind it lies the modern and contemporary gem – Museum Ludwig. Close by is the old core of Cologne, with its old squares – Neumarkt, Alter Markt and Heumarkt, while a couple of modern streets divide the central area from further medieval monuments. 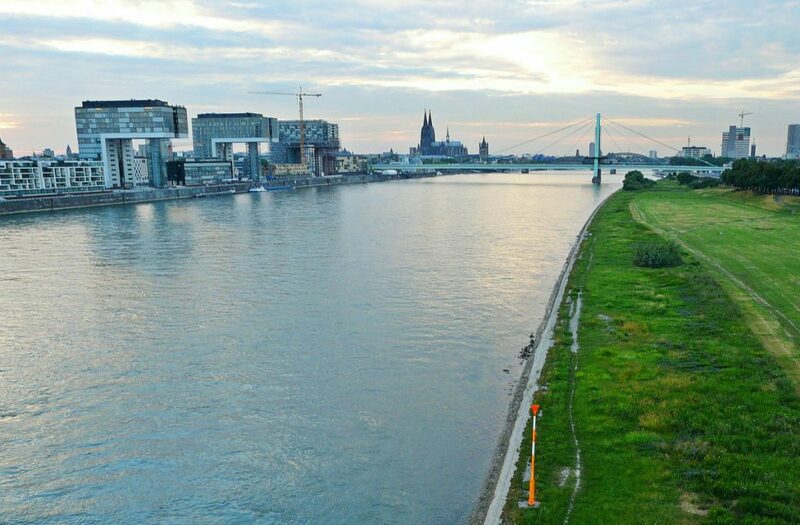 When we add that the river Rhine is very near, just a walk across the Philharmonic Hall, the picture of the abundant eclecticism of Cologne becomes clearer. Cologne skyline, best enjoyed from a distant Kölntriangle skyscraper in Deutz, is uncommonly diverse. The mix of old and new, closely and sometimes heavily intertwined overwhelm at times, while the views of the glorious river and modern structures across calm and refresh. For a casual stroll and accidental discovery of charming corners, there is no better place than Cologne. But those who are looking to learn more about the cultural history of the city, we would suggest well-rounded tours with distinctive historical or artistic themes. Without trying to burden you with excessive data, we give you some of our favorite cultural spots in town. Starting at the inevitable Cologne Cathedral, the most visited landmark in the entire Germany, a stroll further down the history lane will discover several other medieval diamonds. Considered one of the most beautiful monuments of the International Gothic style, this church is not only a religious haven, it is a pilgrimage site for all organ music lovers and visitors can often enjoy complimentary concerts from professional organists. 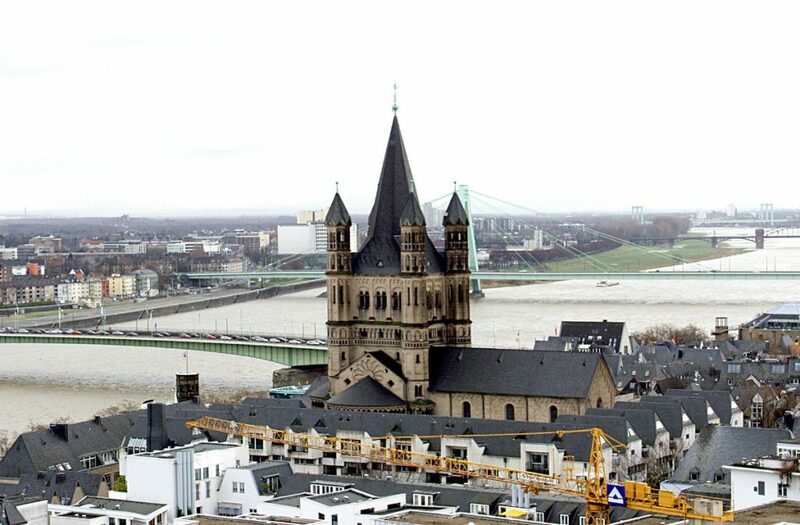 An interesting fact is that Cologne’s twelve romanesque churches provide a more interesting and certainly more unique experience for all architecture geeks. Starting at the nearby Gross St. Martin, it’s easy to follow the map to a romanesque masterpiece, St. Maria im Capitol. Further to the south lies a must see – St. Pantaleon church. A rare monument from the early romanesque era dates back to the 10th century and has one of the most wonderful examples of twin towers, a particular trait called “Westwerk”. Among the twelve churches of the pre-gothic period, we recommend a final tour to St. Gereon. It is the home of the largest medieval dome in Germany, and one of the fine examples of romanesque architecture. Before ending the tour at St. Gereon, a museum trip to Kolumba would be a fine addition to the walk. Built on the site of an old St. Columba church, Kolumba today is an modern art museum dedicated to Christian artifacts. Many of the rare and characteristic romanesque and gothic sculptures and artifacts are on view at this institution, the oldest museum in the city. Cologne is the home of several world-class museums. Homes to various collections, these renowned institutions house priceless artifacts from the history of the city and the world. If an art fair visitor prefers to spend some time browsing through the museum scene, this Rheinland city is the perfect place to do so. 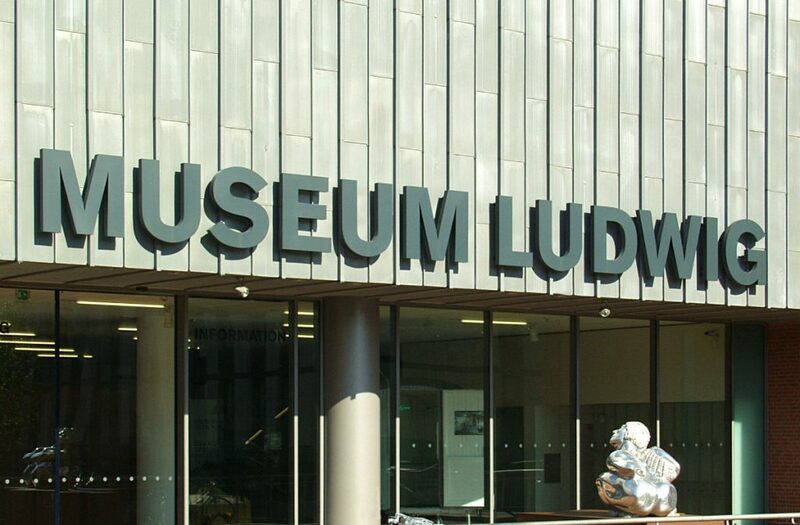 Our favorite of the lot, the Ludwig Museum, is one of the “best addresses for modern and contemporary art”, as our interviewee, gallerist Angela Reitz mentioned. It has a brilliant collection ranging from early modernity to contemporary art. A true art lover will revel in major works of German Expressionists while enjoying the works of the most famous modernists, post-war abstractionists, acclaimed photographers and contemporary conceptualists. Permanent setup is continuously enriched with interchanging exhibitions. For all of those who have the energy left after taking in the vim of Museum Ludwig’s collection, we would advise a trip to a smaller, but equally impactful Käthe Kollwitz Museum. Culture lovers who would like a rest from the 20th and the 21st centuries can find their objects of interest at the Wallraf Richartz Museum, East Asian Art Museum or the Museum of Applied Arts. For those in need of firmer historical grounds, the Roman-Germanic Museum in the center tells a story of origins of Cologne and its urban and ancient history. In recent years, Cologne is reassuming its position as the center of contemporary art in the region. It is the home of the oldest art fair in Germany, Art Cologne, and the place where our Cologne art fair is thriving. While the center of the city abounds with haute cultural institutions, a walk through the broader central area might uncover exciting spaces such as Galerie Christian Lethert, Galerie Artclub, Galerie Nagel Draxler or the famous BBK. Gallerists from other cities and countries flock to Cologne, as the economic and cultural scene reaches a new spring. Angela Reitz is one of those gallerists who found Cologne more interesting than even Basel. Even the metropolitan area of the city is a welcome ground for contemporary gallerists, such as the HLP Galerie from Wesseling. A trend of joint studios and artist-run spaces is coming back to the city, and we advise to stop by one of these eclectic hubs at Co/Atelier in Nippes. As the Urban Art scene flourishes across Germany, it certainly did take Cologne as well. To support the new contemporary movement, Cityleaks Festival was founded in Mülheim. 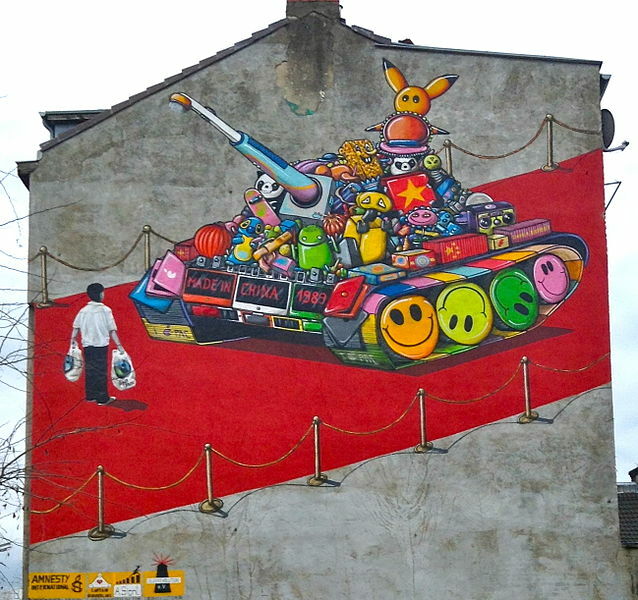 Street Art is also booming in the part of the city called Ehrenfeld, while the galleries dedicated to the rebellious expression are not exactly new to the city. They can be found in the area near Brüsseler Platz, a lively quarter populated with bars and restaurants. Supporting the movement, our Cologne art fair has its own Urban Art Section. We finish our little virtual tour of Cologne city with the latest trends in contemporary art. Creativity is definitely a part of the city’s soul and it can be followed on through both history and geography. 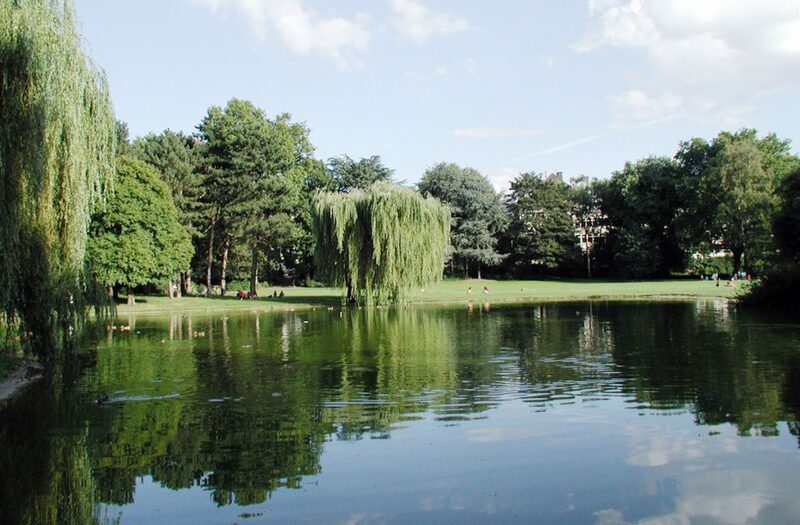 Understanding the need to relax and just enjoy the view after a thought-provoking day, we would a coffee at the Sculpture Park, a meditative rest at the Old St. Alban’s memorial, or just a chill in one of the Cologne’s beautiful public parks.